A marketing guru? PR chief? The boss of this agency? Not a bit of it. The answer is Bill Gates, the boss of Microsoft and someone who was, until fairly recently, the richest man on the planet. And, by any reasonable measure, one of the most successful businessmen of the last 50 years. So when we tell you just how much your company needs PR, we are not just blowing our own trumpet. 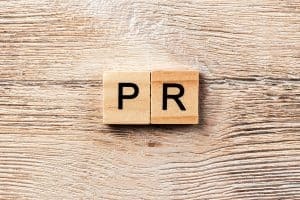 Just about the most common question we get asked by prospective clients is what can PR do for my business? Whilst we may not be able to turn you into as big a business as those run by Messrs Gates and Branson, we can help apply some of the secrets of their success to your business. We’ll get your company’s successes covered in the media. We’ll establish you as experts in your field. We’ll raise awareness of your brand, products and services. We’ll highlight your community work. We’ll stage promotional and marketing events for you and build long, lasting and deep relationships with key influencers in your sector and locality. We’ll help you communicate better with people within your own organisation and those outside it. We’ll run campaigns, help you master your social media platforms so that they deliver results and produce video and photographic content which sets you apart from your competitors. When things go wrong we’ll tell you how to respond and when they go right we’ll put together award entries and testimonials which gain you the recognition you deserve. And we’ll act as your ambassadors in everything we do on your behalf. It’s all a far cry from simply issuing a press release and sending it to your local paper, isn’t it? But it’s a key part of the success of companies such as Microsoft and Virgin. And, as Messrs Gates and Branson have said, it really should be a key part of your strategy for success as well.